Ariadaeus Rill (Hyginus Rill on right). 8 reflector at 180x. 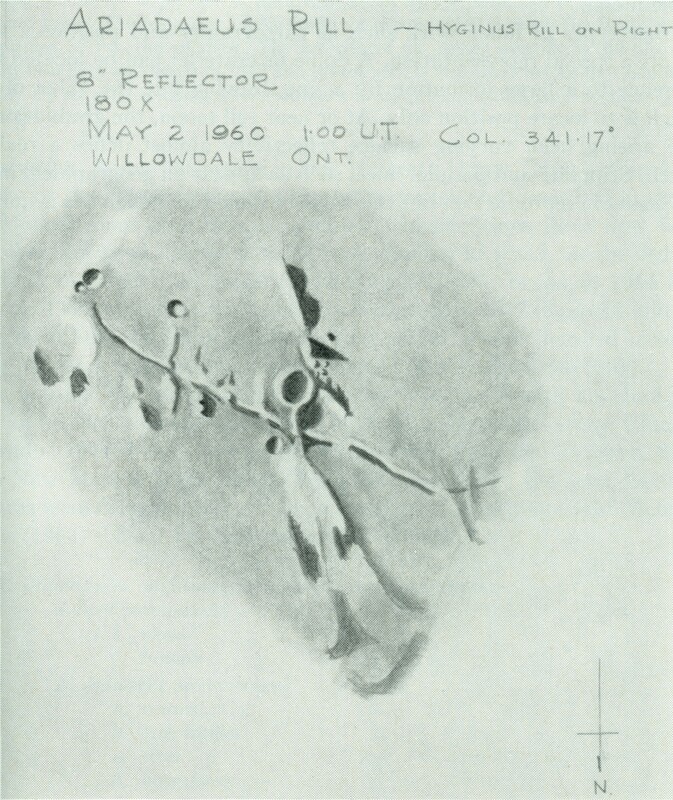 Sketched by Lorne Jewitt (Toronto Centre) on 1960 May 2 at 1:00 UT. Col. 341.17°. Willowdale, Ontario. Photo published in JRASC, 1962.